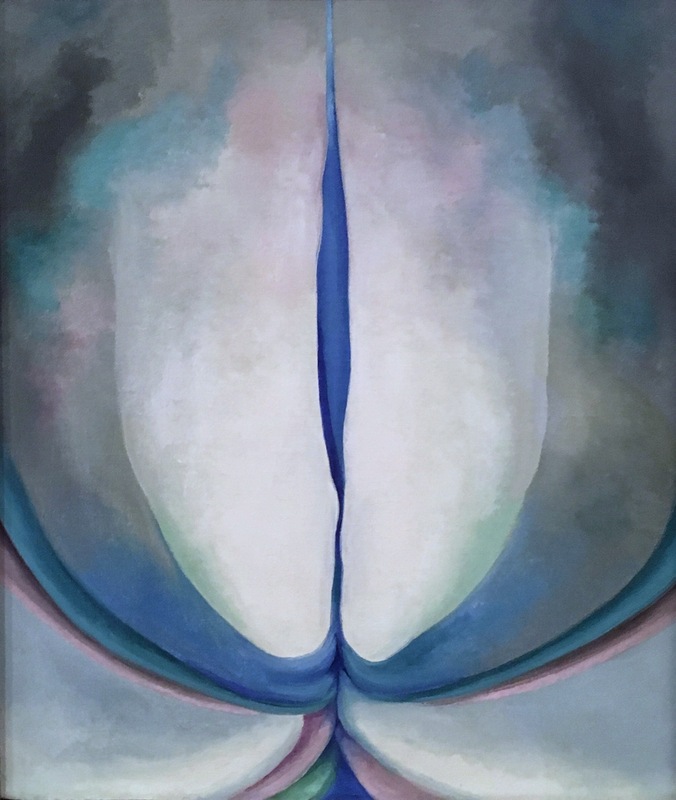 Georgia O’Keeffe (1887 – 1984) America. 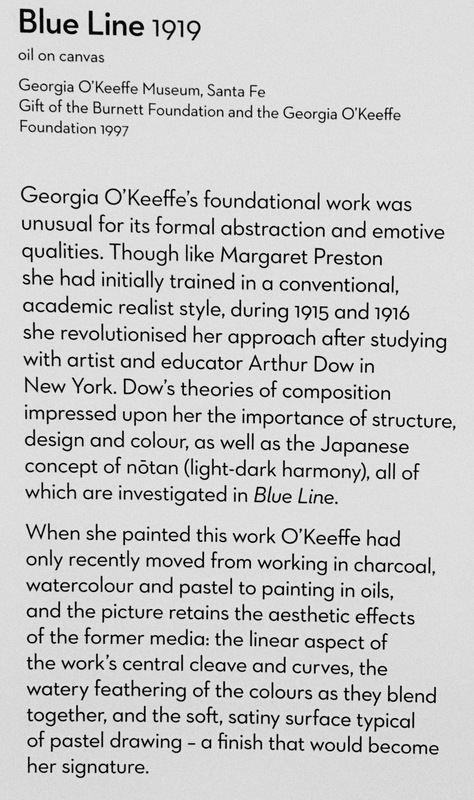 Part of an exhibition of modernist artists with Margaret Preston and Grace Cossington Smith at the Art Gallery of New South Wales. I agree, thank you for commenting. Ms O’Keefes paintings are brilliant but yonic no matter how one tries to argue otherwise. I had to look up yonic too! I like the soft organic lines in her work. Keep your eyes on the blue line. Follow the expanding, now contracting blue line. Keep your focus there and let the periphery drink in the harmony of dark-light. You embrace the entirety. Good work, Robert.